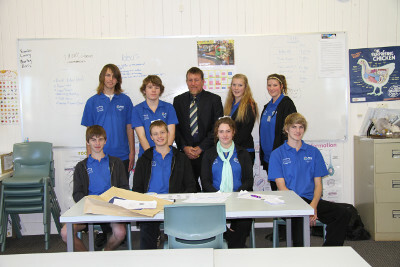 The Australian Canefarmers Association (ACFA) were pleased to sponsor a team at the recent Isis District State High School Australian Business Week. A group of ten year 11 students were tasked to set up and run a café for the week, a project they took on willingly. ‘I am very impressed on how this group of young people have tackled this challenge head on,’ says ACFA Southern Queensland Director, Michael Hetherington. ‘It’s really important that the community gets behind events like these to encourage the next generation to get involved and understand how a business works’. 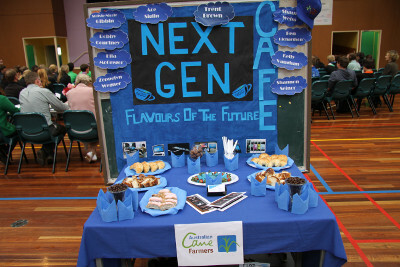 The ACFA was pleased to learn that the group called their café ‘Next Gen’ after the ACFA-run program which encourages and supports young people into the sugar industry. The ACFA would like to thank Rhonda Chantler and Meryl McCulloch, from the Isis District State High School Business Education Department, for co-coordinating the successful event.